These are made of Surgical Grade Stainless Steel. They make great wedding bands, promise rings, birthday gifts and much more. I’m using my ring as a wedding band since I have lost so much weight and my other wedding band flies off when I would move my hand. I had no other choice but to obtain one that won’t go flying off. I love this ring as it’s not one of those that will turn your finger different colors. 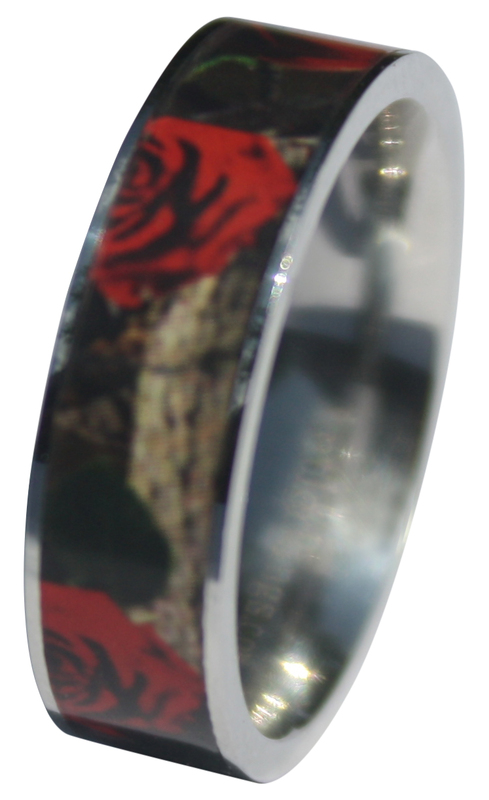 I highly recommend this as a wedding band to any country girl that loves Camo. I tried to get a good photo of the ring, but the photos of it wouldn’t turn out right. This ring was received in hopes of an honest review for a discount or for free. All thoughts are my own and no other’s. There has been no other compensation, nor is there any intended. This post is in the guidelines of the FTC.